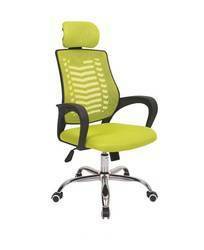 Chrome Office Chair online with Price, Manufacturers, Suppliers, Traders and Companies in India. Mavi Medium Back Chair, PU Arms, Chrome Base, Gas Lift, Seat Back Leatherite Tapestry. High back chair, M.S Chrome plated Structure, Revolving, comfort tilt, One point locking, Pneumatic height adjustable systems, Chrome plated M.S arm rest , Chrome Plated Five prone M.S base with glass filled nylon caster. 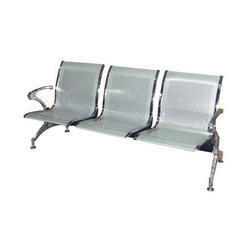 High Back Chair, Cushioned Aluminum Arms, Torsion Bar Chrome Base, Gas Lift, Leatherite Tapestry. High back chair with chrome base, tilting mechanism, fine tapestey.